The serial port of the RaspberryPi is used for boot console and must be reconfigured to be available for application. Now you can type any AT command like AT? 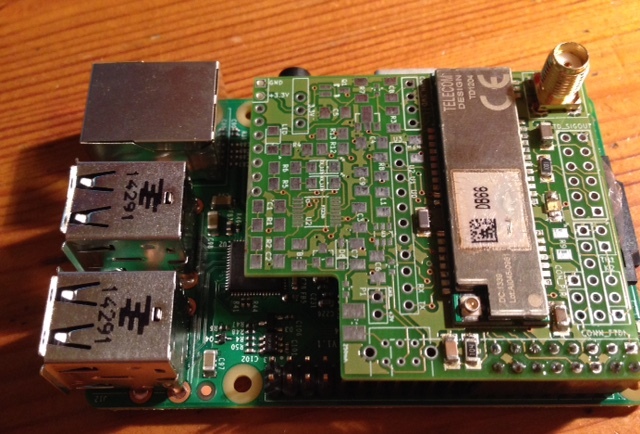 This entry was posted in Hardware, Sigfox and tagged raspberry pi, SigFox, td1204, td1208. Bookmark the permalink. I have a problem, i can’t make minicom work. I’m connected to my raspberry with ssh. When i run minicom on AMA0, i can’t use my keyboard. Do i need to use a real keyboard connected on my raspberry ? Is it possible to use ssh to interact with the minicom running on the rapsberry ? According to our direct discussion, the cause was the version of rasbian used : wheezie is recommended. I think I’ve made a mistake during my first test (i didn’t comment the line ttyAMA0 in /etc/inittab, i think). So, i restart from a fresh whezzie installation : it worked ! Then, I have restart from a clean whezzie install, then upgrade to jessy, and then following the tuto again : it also works.